Come along with your dog and all your family for a FREE fun day out!! HOG ROAST, GIANT INFLATEABLE SLIDE, Lots of CRAFT STALLS , REFRESHMENTS galore, paddling pools, face-painting, jewellery, HOME BAKED CAKES, lots of pet supplies, etc. etc, etc...! 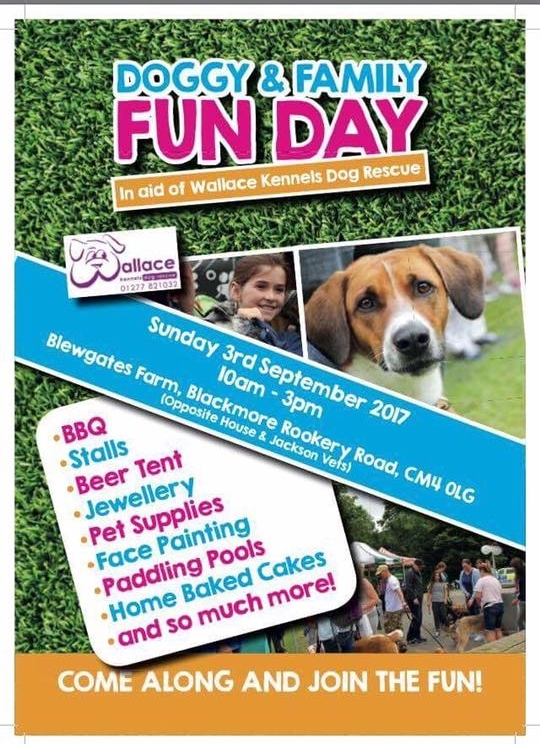 Meet Wallace Kennels Dog Rescue and hear about their fantastic work, browse our pet store and get advice on keeping your pets happy and healthy !